Wearing white is the easiest way to look clean, refreshed, and to stand out. The problem is, sometimes white pieces can feel a bit seasonal—either too summery, too wintery, or something in-between. Today were bringing you 16 perfect white pieces that will look great all year long. Keep scrolling to shop our picks. 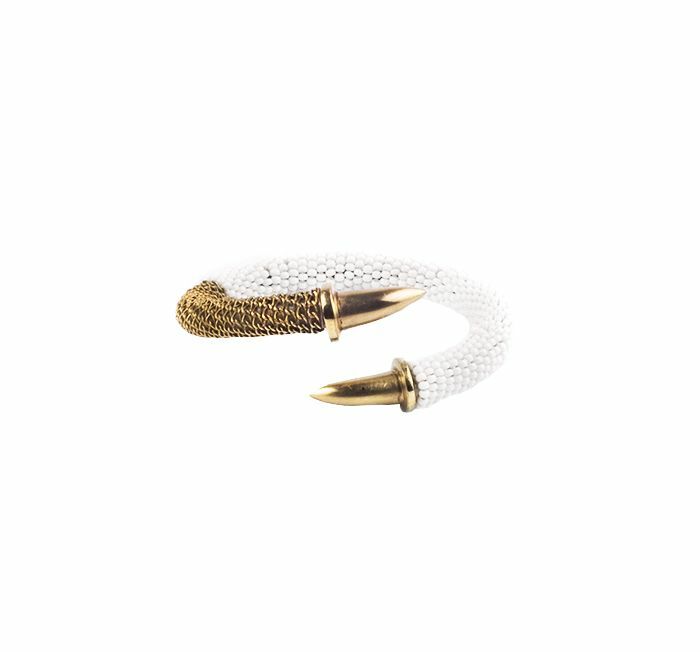 This white bangle is soft and edgy at the same time. We love these earrings from ethically-edited site Accompany. Oversized sunglasses are a chic way to top off any outfit. An oversized clutch is perfect for going from day to night. This is the work bag of our dreams. Who said technology can’t be fashion-forward? The rainbow studs on this bucket bag would add the perfect pop of color to an all-white outfit. Stay hands-free and stylish with this blogger-approved DVF crossbody. These slip-ons will add instant cool to even the preppiest outfit. This pencil skirt is long enough for the office yet eye-catching enough for a night out. A white jumpsuit is the perfect blank canvas for your favorite accessories. This slightly cropped top will go perfectly with high-waisted trousers. Adorn your ears with these perfect earrings, and let the compliments roll in. These celeb-approved sandals are ultra-flattering too! 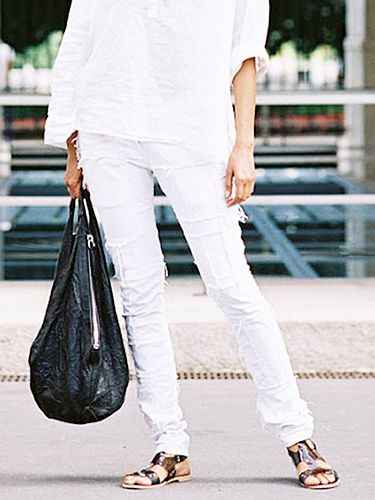 Clean white sneakers tie together even your laziest of outfits. This may just be the perfect layering shirt.